Disconnect battery negative cable. Refer to Battery Negative Cable Disconnection and Connection. Remove the turbocharger oil feed pipe. Refer to Turbocharger Oil Feed Pipe Replacement. Remove the catalytic converter. Refer to Catalytic Converter Replacement. Remove the oil cooler outlet hose clamp (2). 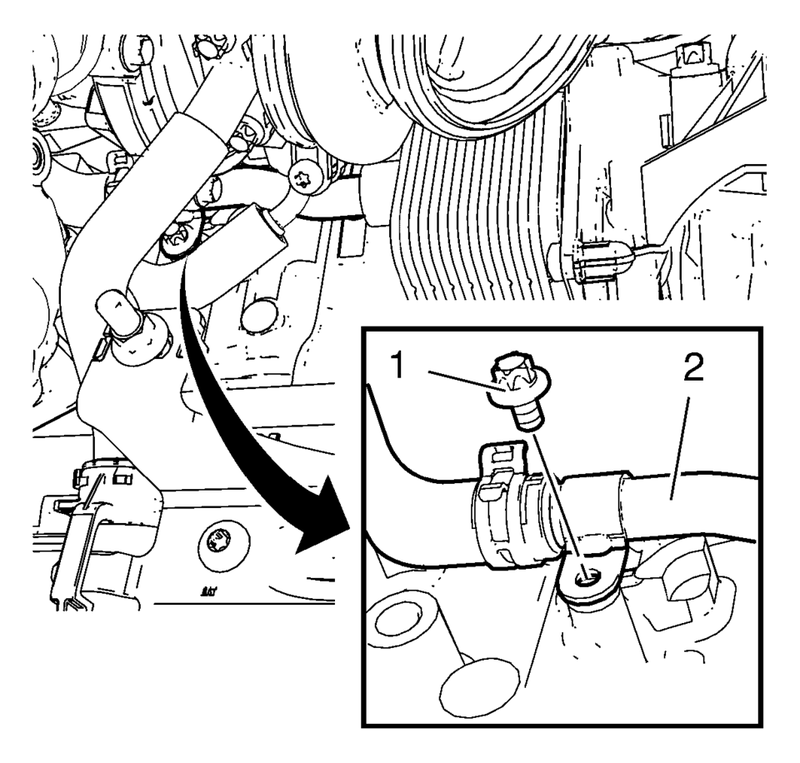 Remove the oil cooler outlet hose (3) from the thermostat housing (1). Remove the turbocharger coolant return pipe bolt (1) from the oil cooler housing. Remove the turbocharger coolant return pipe clamp (2). Do not move the turbocharger coolant return pipe too much. An excessive moving of the turbocharger coolant return pipe could cause leakage. Remove the turbocharger coolant return pipe (3) from the oil cooler inlet pipe. Disconnect the oil pressure indicator switch wiring harness plug. Remove the oil cooler inlet hose clamp (1) and remove the oil cooler inlet hose from the water outlet. 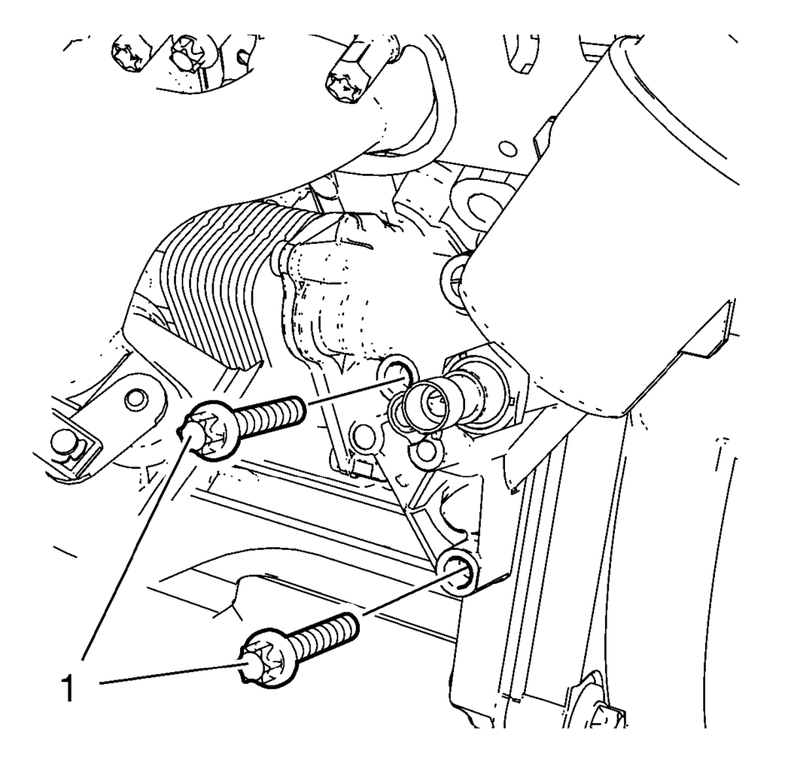 Remove the engine oil cooler bolt (5). Remove the engine oil cooler inlet pipe bolt (4). Remove the engine oil cooler inlet pipe (2) and the seal ring (3). Remove the oil cooler outlet pipe bolt (1) from the engine block. Remove the oil cooler outlet pipe (2) in compound with the oil cooler outlet hose. Remove the 2 oil cooler bolts (1). 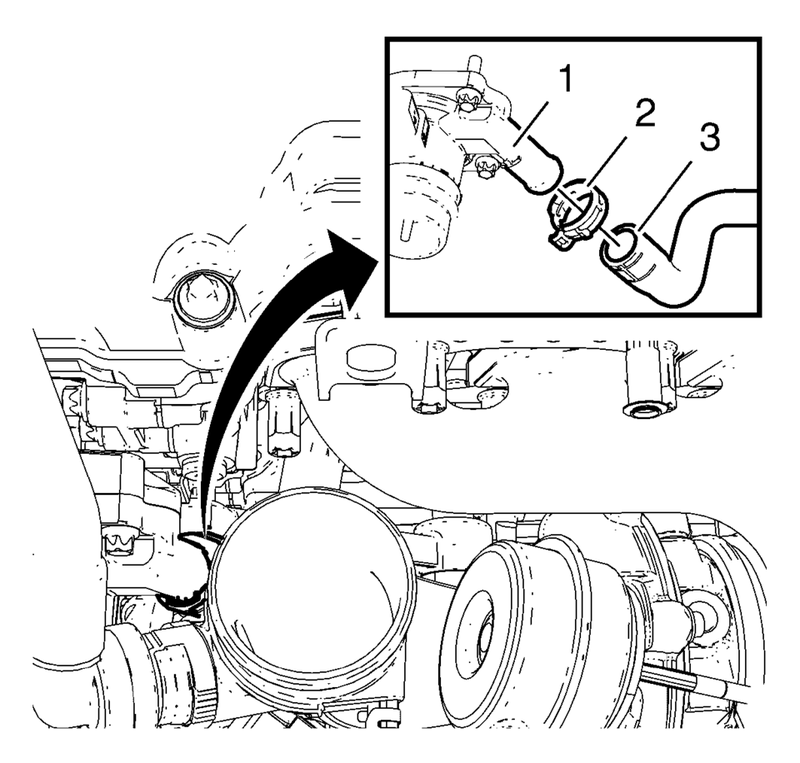 Remove the oil cooler (1) in compound with the oil cooler gasket (2) and the seal ring (3). Remove the oil pressure indicator switch from the oil cooler. Install the oil pressure indicator switch to the oil cooler. Use a NEW seal ring. Install the oil cooler (1) in compound with a NEW oil cooler gasket (2) and a NEW seal ring (3). Install the 2 oil cooler bolts (1) and hand tighten. Install the engine oil cooler inlet pipe (2) in compound with a NEW seal ring (3). Install the oil cooler inlet hose to the water outlet and install the oil cooler inlet hose clamp (1). Install the engine oil cooler bolt (5). 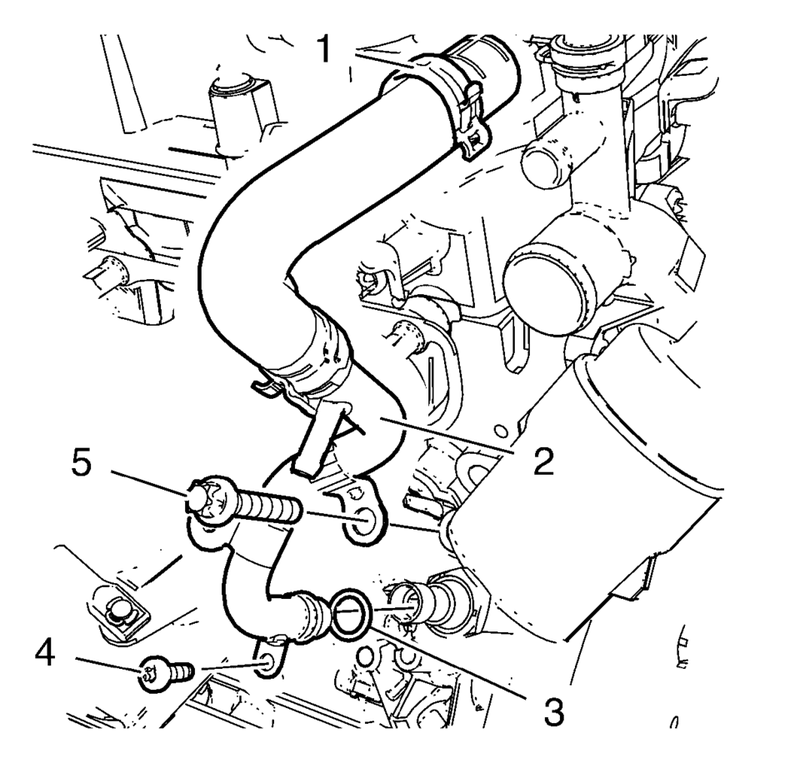 Install the turbocharger coolant return pipe (3) to the oil cooler inlet pipe. Install the turbocharger coolant return pipe clamp (2). Connect the oil pressure indicator switch wiring harness plug. Install the oil cooler outlet pipe (2) in compound with the oil cooler outlet hose to the oil cooler. Install the catalytic converter. Refer to Catalytic Converter Replacement. 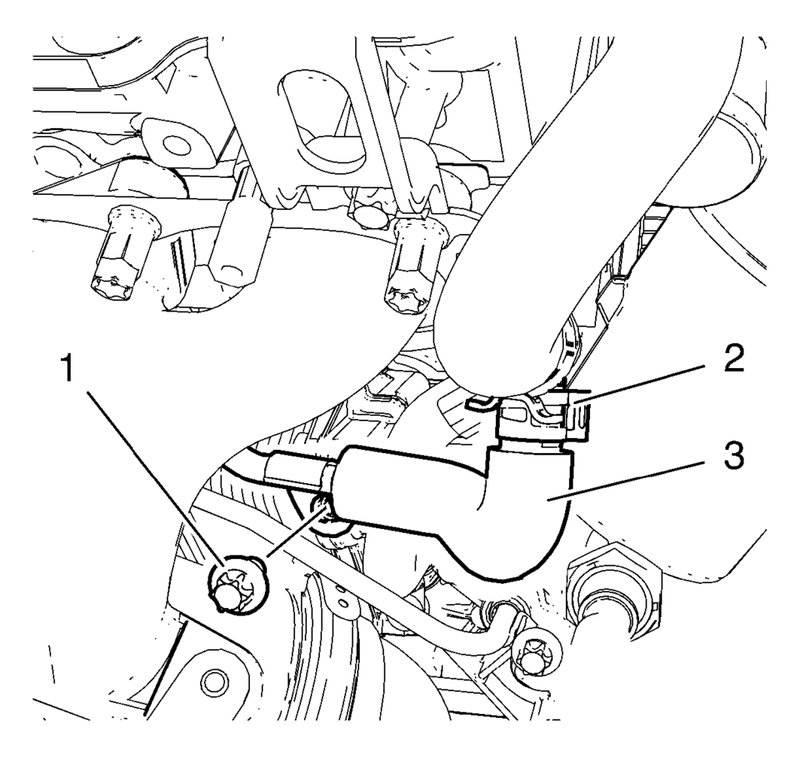 Install the oil cooler outlet hose (3) to the thermostat housing (1). Install the oil cooler outlet hose clamp (2). Install the turbocharger oil feed pipe and the exhaust manifold heat shield. 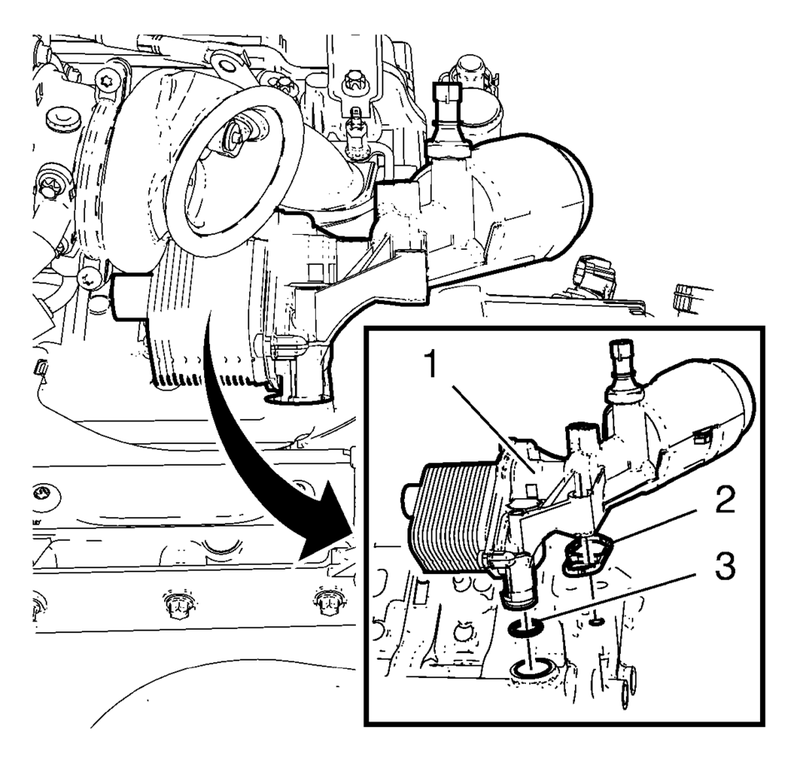 Refer to Turbocharger Oil Feed Pipe Replacement. Connect battery negative cable. Refer to Battery Negative Cable Disconnection and Connection. Fill engine coolant. Refer to Cooling System Draining and Filling.